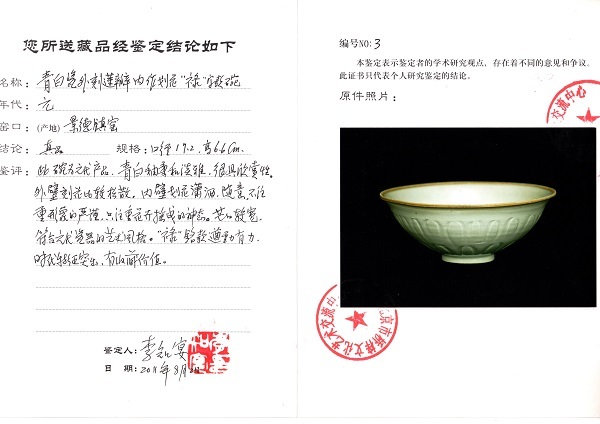 Appraisal: This bowl was made in the Yuan Dynasty. 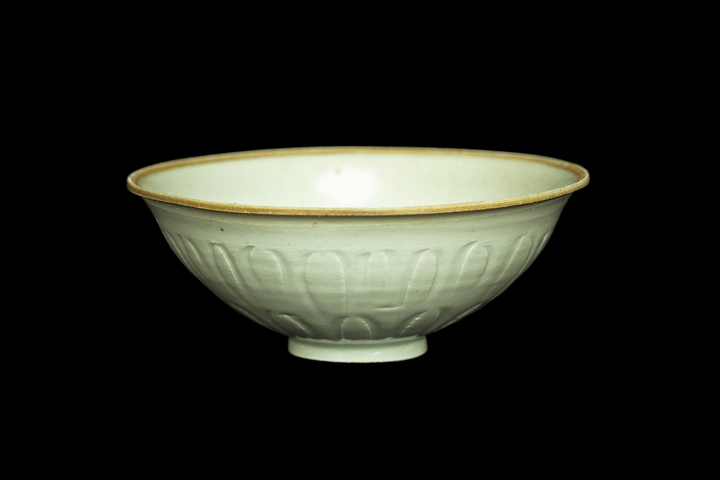 The celadon-white glaze is subtle and quietly elegant, very enjoyable. 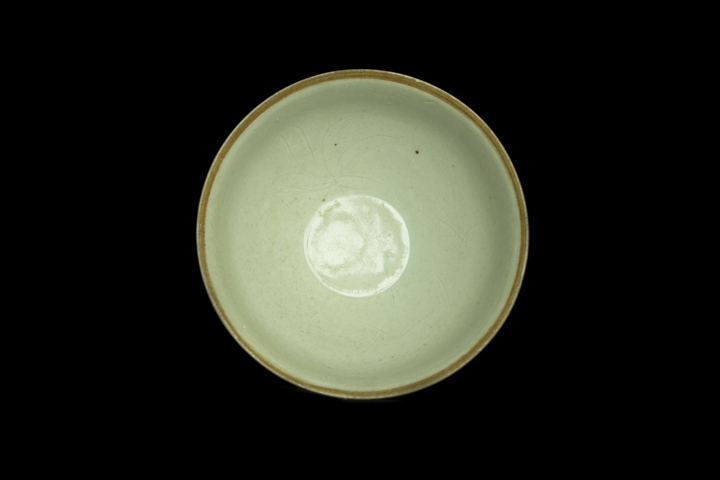 。The carved pattern in the outer bowl is relatively light. 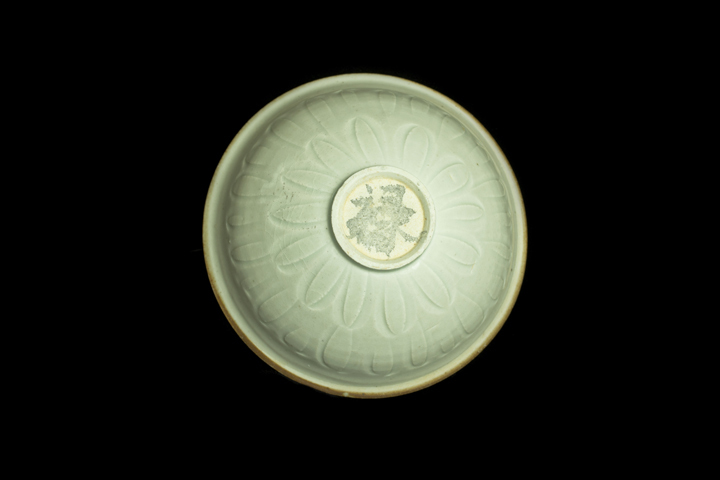 The carved pattern in the inner bowl is chic, casual, does not conform to the rigorous pattern, but focuses only on the free manner of the flowers swaying in the air. The rim of the edge is relatively wide — in line with the artistic style of the porcelains made in the Yuan Dynasty. The strokes of the “禄 (wealth)” inscription on the bottom are very vigorous and powerful — these are prominent characteristics of the times. Highly collectible.